On August 9, 1945 the plutonium bomb was dropped on Nagasaki. This bomb heralded the end of World War II. The city of Nagasaki was largely destroyed and a large percentage of the population was killed. Close to the impact site, a tree miraculously survived the inferno. The tree is the kaki tree, Diospyros kaki. Its survival power makes this tree the World Tree. Diospyros kaki is a species with effects that may help in case of complaints following radioactivity exposure. This is shown by its use in Chinese herbal medicine in case of tumours. The positive effect of the fruit in cases of leukaemia was recently proven. Besides, the tree promotes excretions. Diospyros kaki tree in Nagasaki is a symbol of light and de-toxification. It is a symbol of life and survival. Using the roots, bark and the pulp of the ripe fruit, a remedy of the Nagasaki Diospyros kaki is made: Diospyros kaki Creveld. Dream proving has shown the following themes: war, death, fire, serious illnesses, white and black, love, excretion of toxic substances and a change in DNA. One could summarise the effects as helping the patient to survive a trauma caused by war, fire, radioactivity and toxic substances. 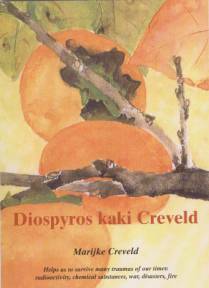 As of now, I treated over forty patients with Diospyros kaki Creveld with positive results. Moreover it has been used by other therapists and medical practitioners to their satisfaction. The remedy has been prescribed for people who experienced mental and physical complaints caused by a trauma on account of war, disaster and burning, complaints following a fire, problems caused by chemotherapy and radiotherapy and by toxic substances. The remedy, Diospyros kaki Creveld is produced by -Heel Belgium (Homeoden) at the following potencies: 30K, 200K, MK, 10 MK and 50MK. Orders can be placed by dialling: +32 9 265 9565. Order the book by faxing copy of this document to the Archibel offices. 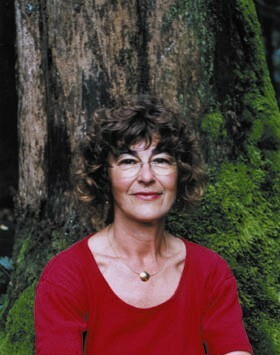 Here is an introduction to a 2 day seminar with Marijke Creveld about Trees, spirituality and homeopathy.